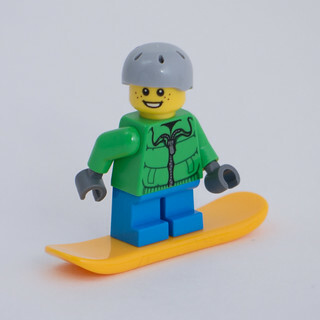 Here’s a close-up of the snowboarder (City). 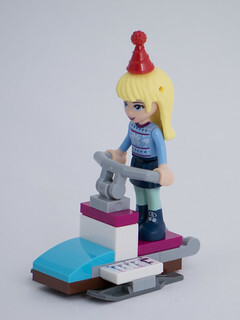 The Friends snowmobile is a nice little build, but to ride it the figure has to be standing up. 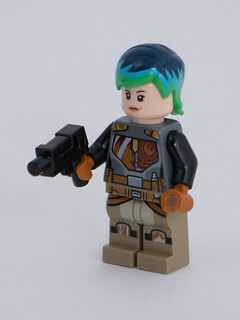 For Star Wars we get a minifigure of a woman with a gun and really cool hair. I didn’t recognize her, but I checked the Internet so you don’t have to – it’s Sabine Wren from the Star Wars Rebels animated show. I also learned that yesterday’s space ship was The Ghost, from the same show (which I’ve never watched). (Links are to Jay’s Brick Blog, which is doing much deeper coverage of the Star Wars calendar in particular, so check that out if you’re into Star Wars stuff. I really like her hair though. 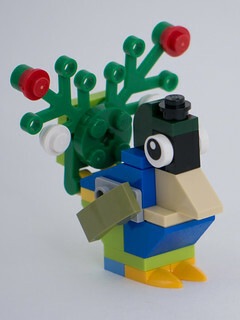 Today’s Christmas Build-Up model appears to be a juvenile peacock. 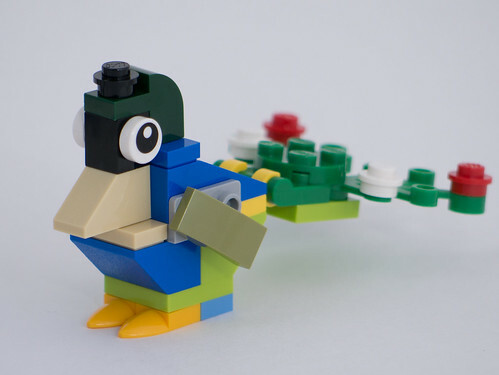 The head is basically identical to the baby parrot I designed yesterday, but I promise I didn’t peek ahead, there just aren’t that many ways to build bird heads with this set of parts. 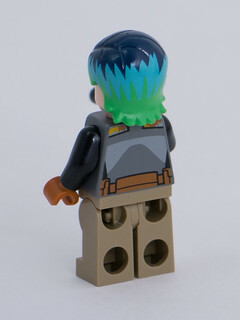 The model comes with the tail down, but I think it looks nicer with it raised. 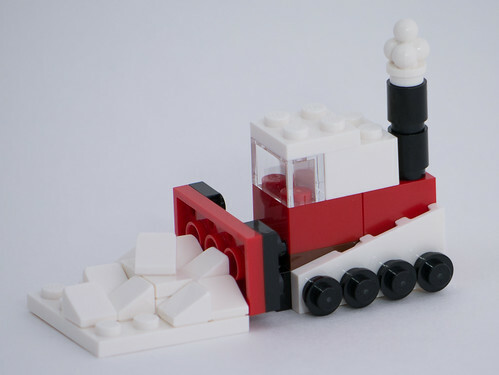 With the leftover parts, I built this little snowplow. 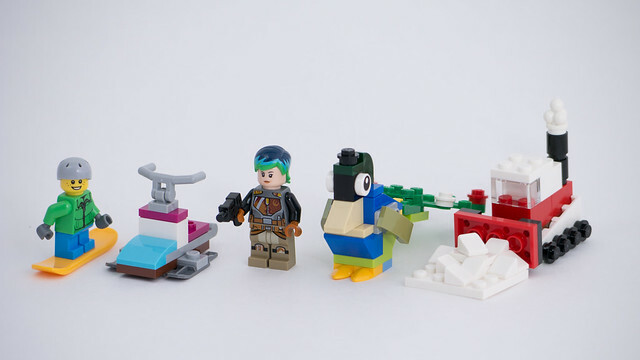 If you wanted to build yesterday’s Baby Parrot MOC, I’ve added instructions for it to yesterday’s post. 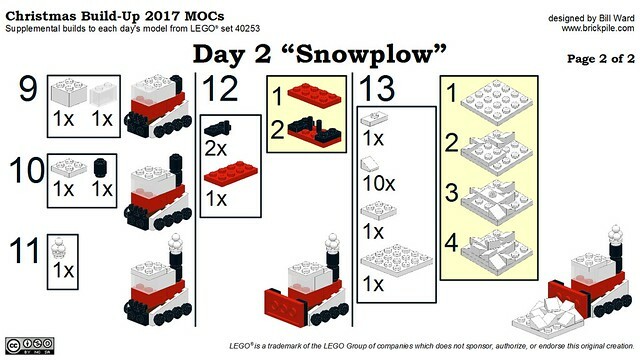 I’m going to try to publish the instructions for each MOC the following day. 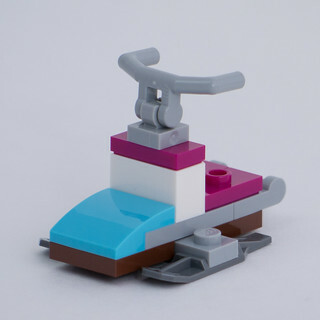 As I’m building, photographing, and posting these things every day (doing it ahead of time would be easier, but feels like cheating to me!) there might not be time to get the instructions done as well, but I’ll do my best. 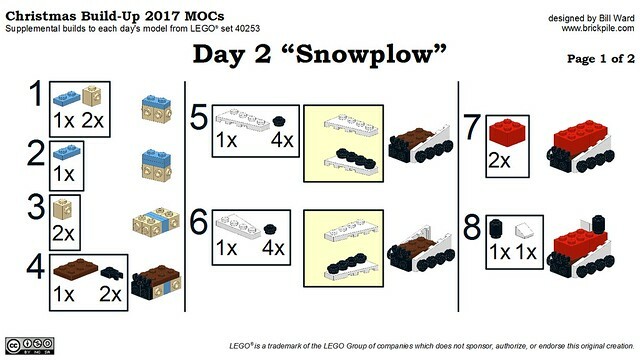 [Added Dec 3rd] Here are instructions for the snowplow.